c:\windows\system32\desk.cpl is the control panel applet for personalization(at least the desktop settings part of it). The file has been upgraded since xp. 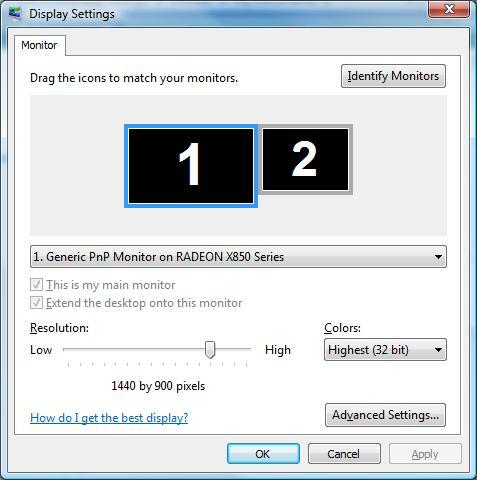 the xp "desk.cpl" can be run in windows vista, this gives a tabbed version of the display properties window. The first thing I tried was putting a renamed xp "desk.cpl" (called xpdesk.cpl) into my vista system32 directory. This did not work because the renamed file wouldn't work. the filename can't be changed. 2. 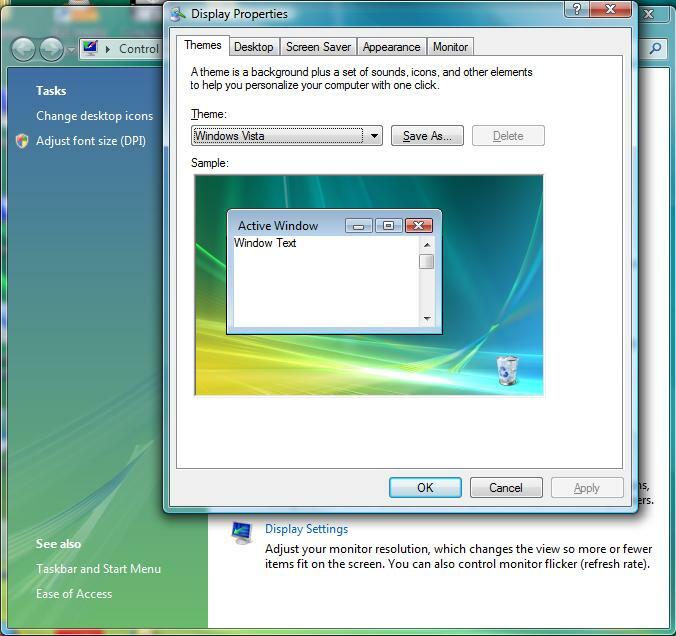 )replacement of vista "desk.cpl" with xp "desk.cpl"
Vista desk.cpl can be replaced with xp desk.cpl. I replaced from my other xp install. I had to take ownership of the vista "desk.cpl" to overwrite it. You maybe be able to change the file right from vista, but if you cant something like bartpe or knoppix would probrably work.